Sorry blurry pictues.... Bastian Berger got a full game. He did a good job at right back, using his speed to advantage. Soon he heads home to Austria. 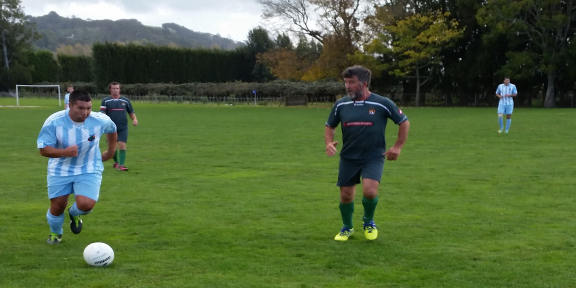 Ian Ferguson also got his first full game, well actually 120 minutes!! 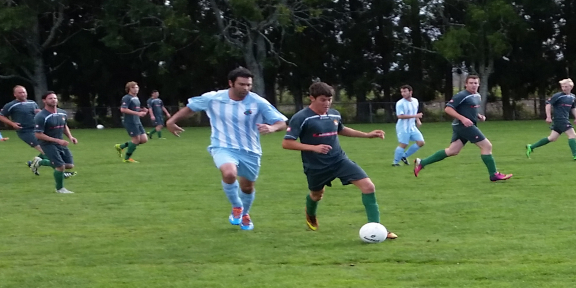 Here he keeps an eye on Kawerau's player of the day Kevin. Jacob Heath had another fine game as left back. 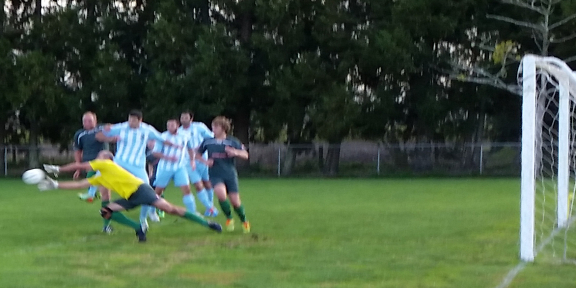 He defended well and also got forward to good effect. Christian Wetting was in amazing form in goal. 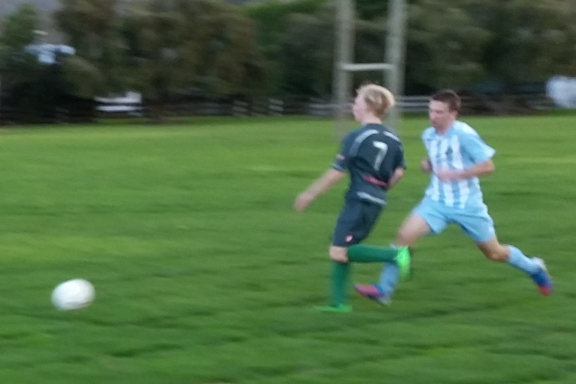 Here he gets to a cross before Kawerau can turn it in. Botht he Tiemen Corporaals are in this shot too.